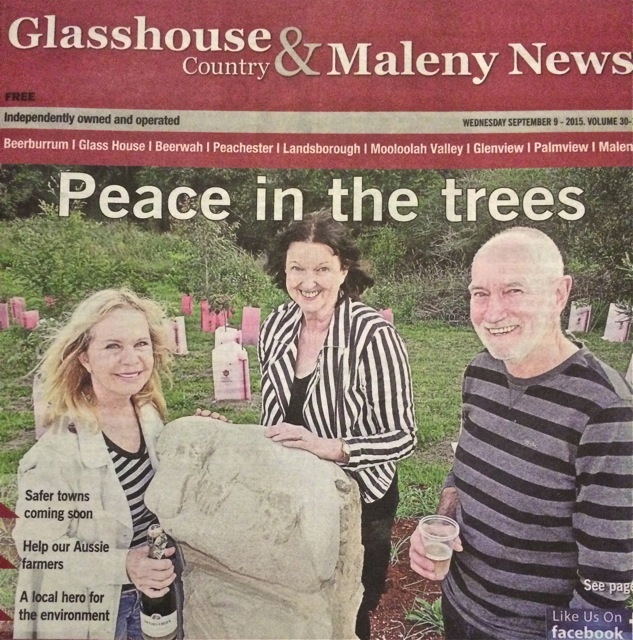 Just thought we would share a few cuttings from the Glasshouse Country and Maleny News celebrating the opening of the Peace in the Trees Scupltural walk at the beginning of September 2015. 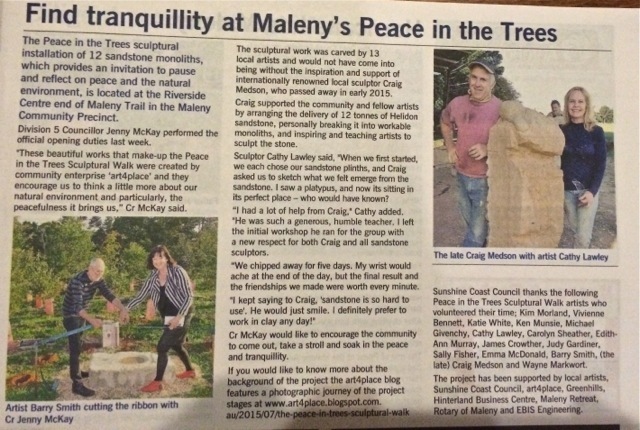 Big thank you to Cr Jenny McKay for doing the honours of officially opening the walk. 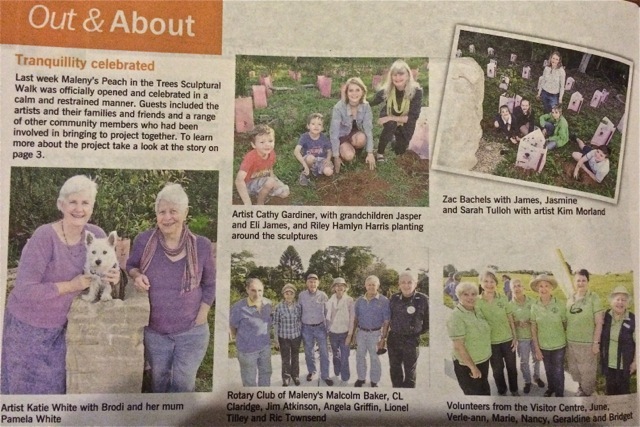 Great to see various groups represented Rotary and Maleny Visitor Information Centre); and also grand that families and friends of the artists came to the opening and participated in planting some Lomandras and joining in the celebratory sausage sizzle.